John Simpson, MAI has authored 4 books with the Appraisal Institute and 12 Appraisal Journal articles, but that’s just a part of his monologue. He helps run an appraisal firm, and has been an active day-to-day commercial appraisal for almost 2 decades. John Simpson, MAI has done an excellent job of identifying many of the key rules of successfully appealing property in his recent 12-part series - Simpson's Keys to Successful Tax Appeals - on his Appraisal Matters blog. As a commercial appraiser for a township assessment office in Illinois, I can attest to the validity of his remarks! Although his series of articles focus on commercial property appeals . . .the same rules will apply to residential income properties and even single-family homes. Keys to Successful Tax Appeals - Part 1 - With the current well-publicized real estate problems, tax appeals have become more viable for commercial property owners. 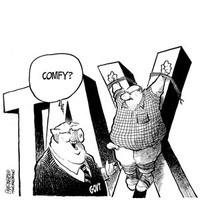 The bottom line is a lower property value, yet real estate tax assessments have not been reduced accordingly. Although this may seem cliché, not knowing the jurisdiction’s tax assessment and appeals rules can derail a tax appeal well before it even has a chance to be heard. Keys to Successful Tax Appeals - Part 4 - Key 3 – Know Your Market and Submarkets - Although you may not be an expert, you can call upon experts to learn about your market. Brokers have their fingers on the pulse of the market and they are often more than happy to provide you with truly comparable properties for comparison . .
Keys to Successful Tax Appeals - Part 5 - Key 4 – Always get the Assessor’s worksheet - The Assessor’s worksheet is a document that shows how the Assessor arrived at the market value a property. Many times, the addresses of the comparable sales are included and sometimes operating expense comparables and capitalization rate comparables are shown. Author: Jeff Patterson, owner of Residential Appraisals - For the past 25 years, Jeff has been providing residential appraisals for most of southern and central Maine. Jeff's clients range from private appraisals to working with brokers, banks, litigation support and expert court testimony. To all, in the spirit of this blog which allows me to express my opinion, here I go. I don’t think anyone would argue that the so called mortgage mess is entirely the responsibility of real estate appraisers (or borrowers, mortgage brokers, lenders or the government agencies). Yet the appraisal industry should take responsibility for its part. Let's face it, many real estate appraisers have been, and will continue to be, influenced by the financial pressures of the client. As a result, their value opinions are not objective, they do less than what is considered adequate in supporting their conclusions and/or give false descriptions of the site or improvements. I support any action that tries to level the playing field and bring back dignity to this profession. 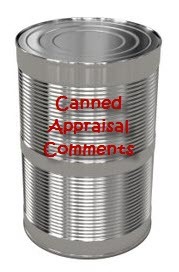 My opinion is that the appraisal industry should stop trying to change the mortgage industry and concentrate on its own problems. I think it’s important to note that our problems go beyond the lending industry. Our problem is that a large number of appraisers are dishonest, and they continue to justify their dishonesty by saying everyone does it. They have learned to cover their actions by cute boiler plate statements derived from the grapevine or their mentor. 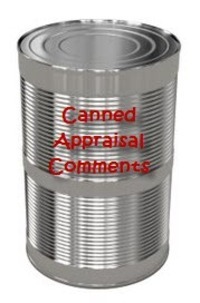 They use these canned comments to hide the fact that they've not fully and accurately disclosed property defects or the extent of their analysis. In short, they are being dishonest, all in the sole desire and purpose of making money. By the mere definition of professionalism, we need to be in the pursuit higher and higher quality of work and adhere to some form of ethics. Those that do not, discredit the principles of our profession, by providing less than what is adequate to protect the public and our clients. So I support the HVCC, because it better than what we currently have. At least it’s a step in a direction and not a continuation of the double talk and blatant lying that has been dogging this industry for years. I have passion for what I do, it goes beyond dollars and cents, and if my passion offends someone I do apologize. But I will not apologize for the passion for my work and trying to be a professional appraiser. Yet as the prayer go, God grant me the serenity to accept the things I cannot change, the courage to change the things I can, and the wisdom to know the difference. Author: Jeff Patterson, owner of Residential Appraisals - Has been providing residential appraisals for most of southern and central Maine for the past 25 years. Jeff's clients range from private appraisals to working with brokers, banks, litigation support and expert court testimony. UPDATE: Dole Amendment S. Amdt. 4984 to H.R. 3221 (Foreclosure Prevention Act of 2008) Passed? . . .or Withdrawn?? 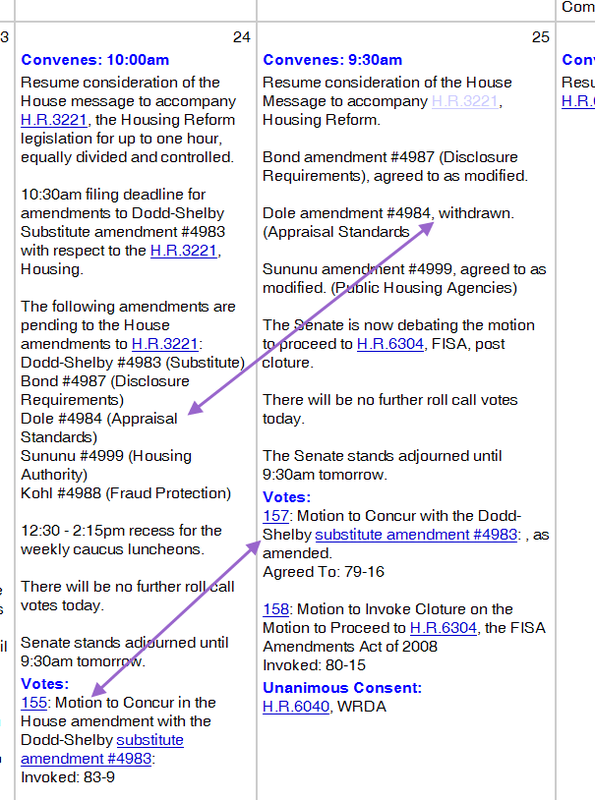 UPDATE/CORRECTION 6/26/2008: There's some confusion on the status of these amendments and bills!! Please read the comments section of this post for updates by the author and others as we track this story. Appraisal Scoop has also added a new chart (click here) on activity through 6/25/2008). H.R. 3221 - Foreclosure Prevention Act of 2008 passed with amendment S. Amdt. 4984 by Elizabeth Dole that orders the director of OFHEO to review appraiser requirements in the HVCC and that "the Director shall ensure that the regulation is consistent with appraisal regulations and guidelines issued by the Federal banking agencies (as that term is defined in section 3(z) of the Federal Deposit Insurance Act) and the National Credit Union Administration, including regulations and guidelines related to the independence and accuracy of appraisals, and do not conflict with any other banking regulations. Bill says, "So, basically, the final form of the HVCC must comply with regulations already in place, many of which the HVCC, as presented on March 3rd, was in conflict." McKnight spoke today with legislative aide Caylyn Wright, at the Sacramento Association of Realtors. Ms. Wright, on McKnight's behalf, called a National Association of Realtor legislative aide, who agreed the above bill as amended may address our concerns with the HVCC and does not have the appraiser bonding issue in it that S 2452. Ms. Wright's opinion was that since Congress passed the House version of the bill, the Senate version (S 2452) will likely not be considered in this session of Congress. Mr. McKnight talked to several other individuals who are familiar with legislative procedure and they also believe that S 2452 is probably dead for now. "Senate Democrats Wednesday were trying to resolve procedural fights before they could pass their version of the legislation, with Senate Banking Committee Chairman Christopher Dodd (D., Conn.) blasting Republicans for delaying a final vote on the measure. Democrats had hoped to pass the measure this week, but a final vote appeared likely to slip until after the July 4 recess. Still, the legislation is expected to pass easily, potentially with enough votes to overturn a veto." Click below to continue reading and an UPDATED chart of activity . . .
On June 19th, citing requirements that would undermine the safety and soundness of the mortgage credit system, reduce the availability of mortgage credit, and lead to less reliable and accurate real estate appraisals, the FED, OCC, OTS, and NCUA, in a joint letter to OFHEO, urged Fannie the GSE's and New York Attorney General to withdraw the Cooperation Agreements and Home Valuation Code of Conduct (HVCC) that were announced in March of 2008 - See TAVMA blog. These requlators were among those that were late to the table in terms of providing leadership and guidance prior to May 1, 2008 (the end of the 90-day comment period). See "11th Hour HVCC Plans and Comments - Where was the leadership". One interesting item of note was their comment about "Regulation Z" (click image to enlarge) that would prohibit all creditors and mortgage brokers from pressuring an appraiser to misrepresent a dwelling's value and would prohibit all creditors from extending credit if the creditor knows or has reason to know that an appraiser has been coerced to misstate a dwelling's value. Regulation Z--Truth in Lending, 73 Fed. Reg. 1672, 1726 (proposed January 9, 2008) (to be codified at 12 CFR pt. 226). The proposal was released for comment on January 9, 2008. The proposal's comment period ended on April 2, 2008, and Board staff is analyzing the more than 4,000 comment letters received on the proposal to determine what modifications, if any, to make to the draft regulation. Somewhere along my path, it dawned on me that if I was going to have to spend money taking classes or seminars to keep a license in force; that it would make sense to spend the money on the ones with the most legs. That is, to spend the money on courses that count for something, like a degree, designation or certification. 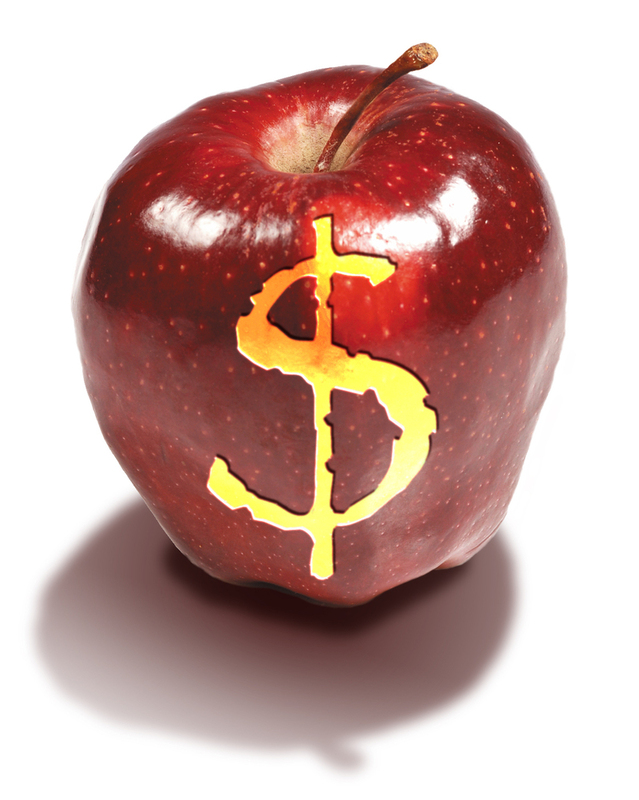 Dollar for dollar, the 1-day continuing education (CE) seminar is the most expensive way to accumulate credits. And, for the most part, they do not have legs. That is, they only count for one thing, renewing an appraisal license. Those I see offered in my area range from about $125 to $175 per seven-hour seminar. This translates into $17.86 to $25 per hour of CE credit. After licensing, I began taking courses, not seminars, courses that counted either for a professional appraisal designation or a degree. Since 1989 when the license law was passed, using my system, I completed two college degrees and two appraisal designations. 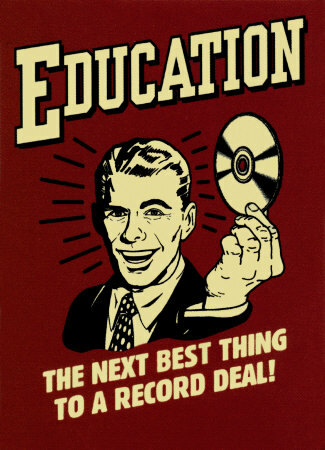 All for less money than most have spent on CE seminars that did not count except to renew their license. In my State, a related college course can be approved with a copy of the course description and syllabus. Some of the courses I have taken since finishing my degrees have included Environmental Site Inspections, Subdivision Law, and Environmental Takings. All were approved for 40 hours. Each cost $395 or $9.87 per CE hour. My most expensive college courses were at a private university graduate school, and cost $1,200 each or $30 per CE hour. More expensive, yes, but in the end, they added up to an MS in Real Estate Appraisal, which lasts forever. My most expensive appraisal course through the AI was $500 for 40 hours or $12.50 per CE hour. As this non-recession we are in, continues and housing issues remain in the forefront; it is my notion that those with more skills, and yes, credentials will better survive the next three years. 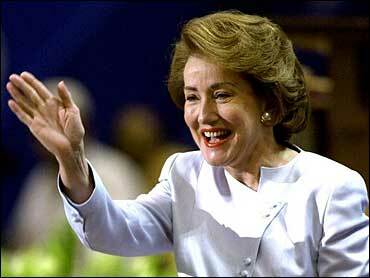 UPDATE - Monday June 23: I just got off the phone with Senator Dole's office. Any phone calls and emails to US Senators on this issue are needed TODAY. There is a cloture vote (a proceedure to end debate and start a final vote) tomorrow. We have another opportunity to advance our position in Congress to fix the HVCC. Congress may take action on housing issues before the July 4 recess. A la mode has provided a simple site that will generate an editable letter AND target your congress person based on your location! What could be simpler?! Take Action! Both your senators need to hear from us about the negative impact the current version of the HVCC would have on consumers, appraisers and the economy at large. It is anticipated that the Senate will debate and vote on the Dole Amendment number 4984 to the Federal Housing Finance Regulatory Reform Act of 2008 (H.R. 3221) on Tuesday, June 24. Please contact your senators now by clicking the "Take Action" link below and ask them to support this amendment. Take Action! Thank your senators for their consideration and attention to this matter. They need to hear from us today! Thanks for your ongoing support. Together we are getting closer to helping create a level playing field and a balanced HVCC. Click here to see a sample of the letter . . .
103 Marketing is about keeping track of income being generated by marketing your doing and in addition to the inquires you receive you need to calculate the expenses that is contributed to specific marketing efforts. We have all been solicited to purchase placement ads or banner ads on a website. The question is which ones work and which ones don’t. If you are not keeping track of it, you’re not going to be able to determine if it’s cost effective to market this way. Personally a couple of ways of doing this for me is to offer a discount if they mention the website they contacted me through. I also check the statistics on my website. Another way of doing this is asking the client questions. Such as where is the industry going, where are your leads coming from? What kind of loans are you doing and where are you doing them? Who are your clients? 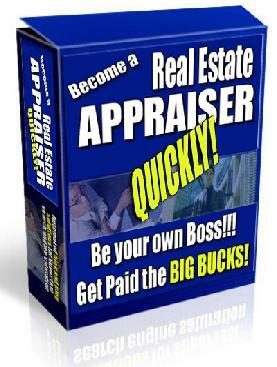 Do you direct them to an appraiser or do they go to the yellow pages or etc? 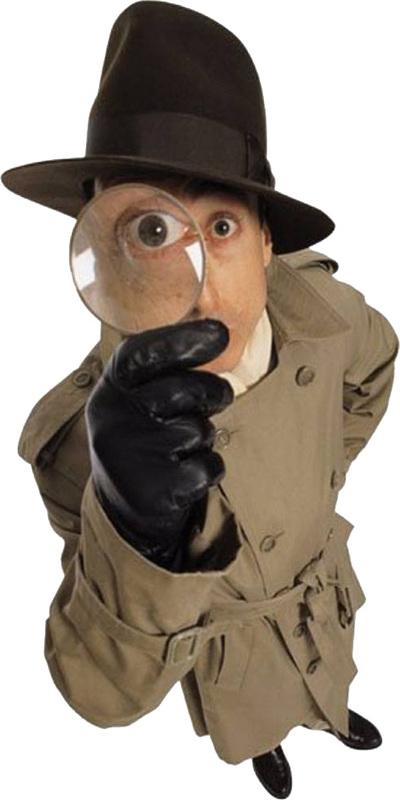 Collect and analyze . . .then choose what your going to sell. The old adage: "You have two ears and one month and should be listening twice as much as you talk" rings true in marketing and defining what niche or campaign you want to utilize. It’s also true with respect to using a script when making telephone calls, or deciding what to wear and bring with you when making cold calls. Yet before you send an e-mail out, make a call or get in you vehicle you have to have a plan. Some idea of what you’re trying to accomplish. 104 Marketing is all about your plan, your goals, what you want personally or for the company. A portion of a business plan per say. A plan to take control of what you want to provide, how you want to provide it and what do you want to provide it for. This plan takes into consideration benefits that are uniquely yours. For the record, in most products and services there is a higher percentage of profit in good then cheap. Yet you can sell more stuff cheap, but you have to sell a lot to get the same amount of profit. So which do you want to sell? What kind of client is looking for this service, how do contact them, which method of marketing do they respond to the best. Marketing is not new, it is simply being done better by others. WASHINGTON -This week, HUD's Federal Housing Administration (FHA) is mailing hundreds of thousands of letters to homeowners at risk of losing their homes through foreclosure and urging them to consider a safer, more affordable alternative to the high-cost mortgages they are currently paying. The first round of 280,000 letters was mailed in February. FHA's public awareness campaign will continue through September, ultimately reaching 850,000 distressed homeowners. 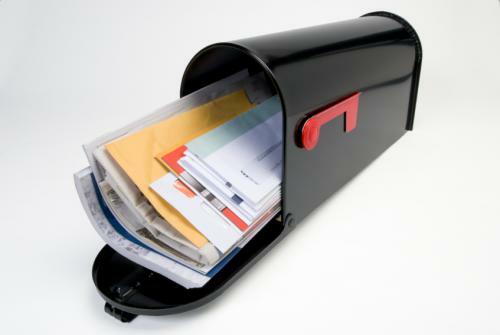 Letters are being sent to homeowners who have already faced or are experiencing the first reset of their adjustable rate mortgages. Through the end of the year, FHA can insure home loans valued between $271,050 and $729,750. Normally these loan limits are set between $200,160 and $362,790 but were expanded through President Bush's Economic Stimulus Package. Bipartisan FHA Modernization legislation awaiting final action by the Senate and House of Representatives would permanently increase the loan limits to an acceptable level. View full article . .
Fannie Mae and Freddie Mac reportedly have received close to 40,000 comments on the controversial new appraisal standards hammered out with NY Attorney General Andrew Cuomo, and are now in the process of deciding what, if any, changes need to be made in the pending rules. Hear from a panel of experts about the tougher appraisal standards and coming changes at a must-attend audio conference from Inside Mortgage Finance. The pending Fannie/Freddie standards require most lenders to outsource their appraisals and prohibit the GSEs from purchasing mortgages that fail to comply with a new Home Valuation Code of Conduct. The code establishes standards for the selection of appraisers, methods, appraisal compensation, and the independence of appraisers. It would effectively eliminate broker-ordered appraisals and dictate what entities can prepare appraisals. Appraisal practices are already undergoing scrutiny—not only by regulators, but by risk-averse lenders. The industry is effectively creating “new rules” this year. Come and hear about the controversies and what to expect from ongoing changes, as industry experts discuss the issues and answer your questions.